Release Party for Unbound: Alaska Poems by Uttered Chaos Press in Eugene, Oregon. Quinton Hallett and Roy R. Seitz will also be reading from their works. Please email me for more information or check the Uttered Chaos news page. 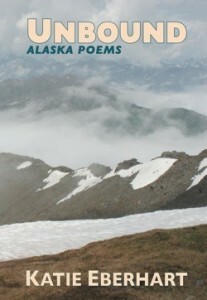 This entry was posted in Books, Events, Unbound: Alaska Poems on June 14, 2014 by katie eberhart.